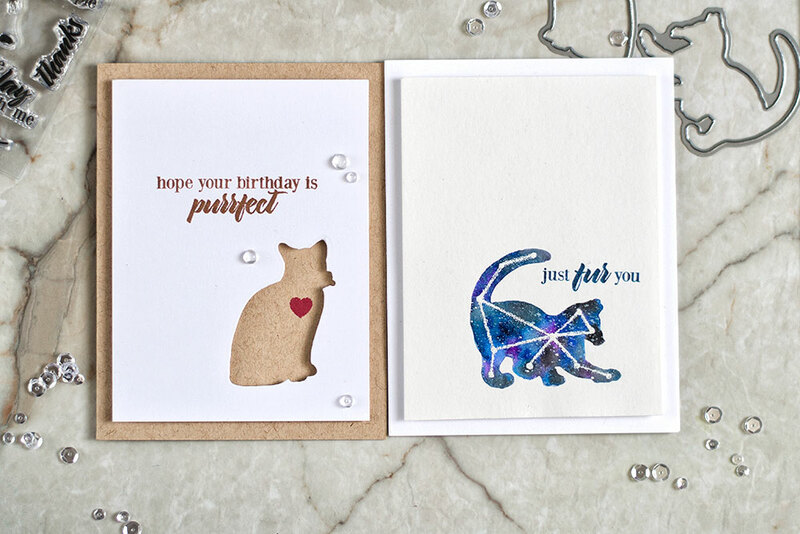 I’m over at Altenew blog today sharing two simple cards for cat lovers. 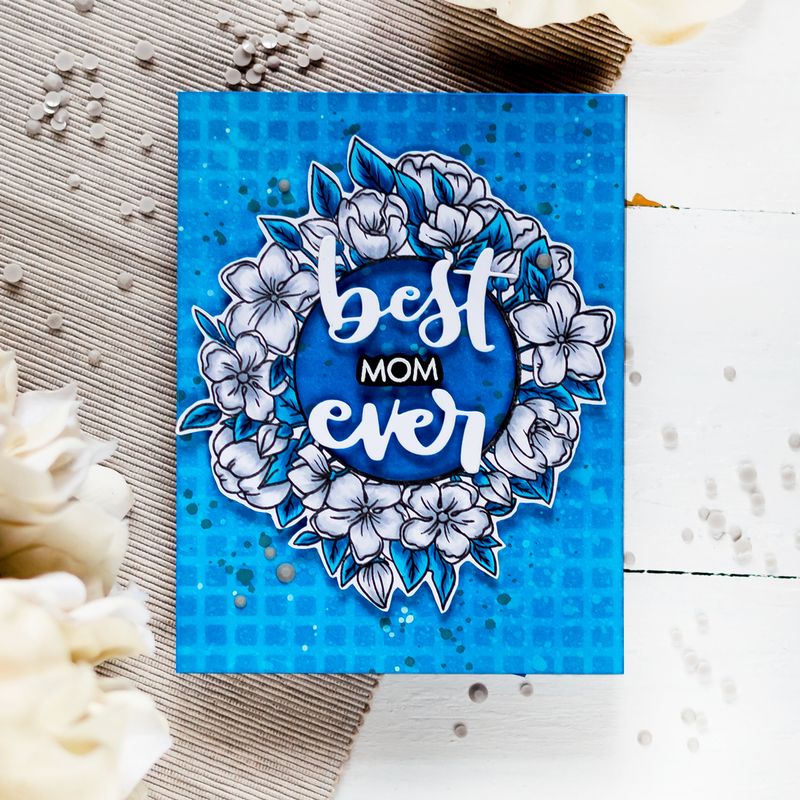 Matching dies are great product to a get a perfect die-cut of a stamped image. 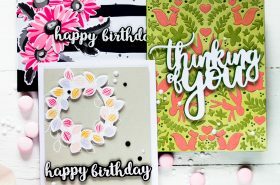 But sometimes they can be used on their own, without corresponding stamps. Today I want to share two simple cards made using Modern Cats Die Set. 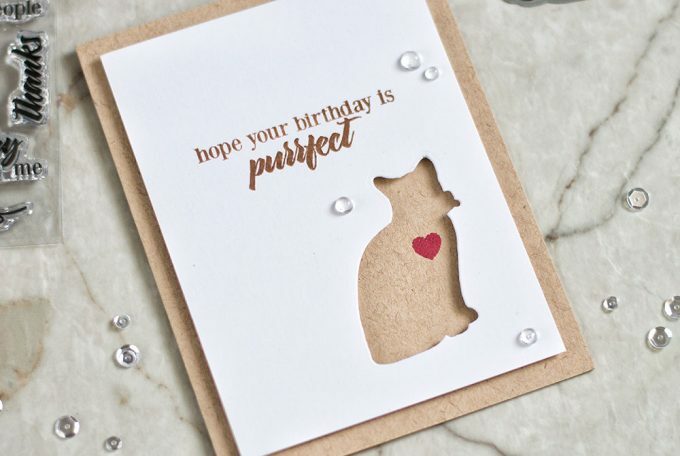 For my first card I used a die of sitting cat which I use to make a negative die-cut in a Solar White Cardstock panel. Next I stamped a sentiment from Modern Cats Stamp Set using Dark Chocolate Dye Ink onto the panel. I cut and scored and A2 card base out of Parchment Cardstock and foam mounted the panel onto it. 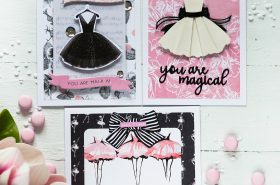 I stamped a heart from Halftone Hearts Stamp Set inside the negative die-cut using Ruby Red Dye Ink and added several clear droplets to finish off the card. 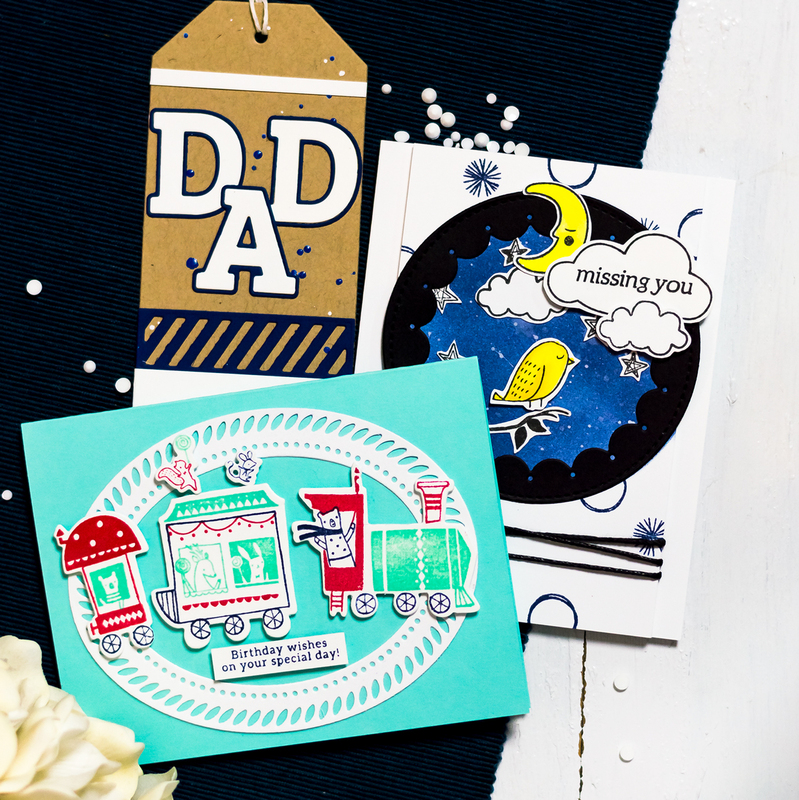 The second card is a bit more complicated but is more fun. First I made a negative mask of playing kitty out of freezer paper and adhered it onto a watercolor panel using my iron. I then created a basic galaxy watercolor background inside of the negative mask, followed by spraying it with white spray (because each galaxy needs stars). 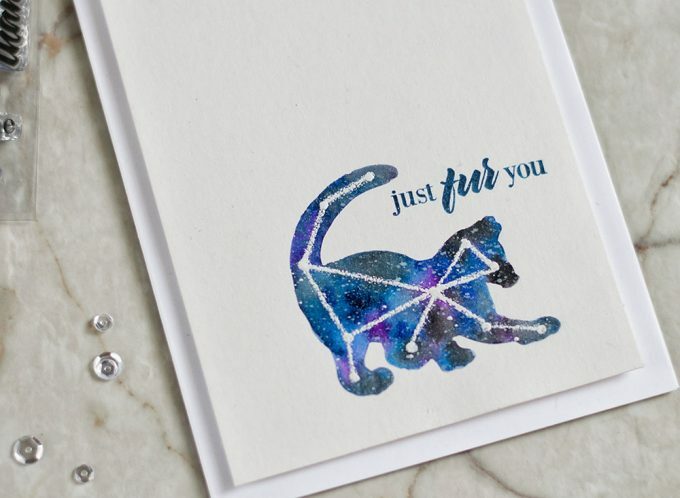 Then I drew a “cat constellation” using Versamarker and white embossed it using Pure White Crisp Embossing Powder. 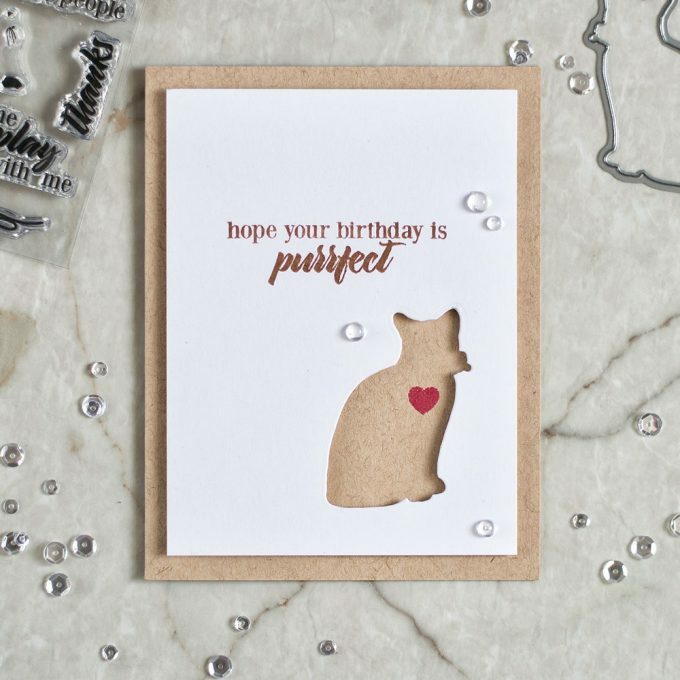 I stamped a sentiment from Modern Cats Stamp Set using Desert Night Dye Ink and foam mounted the panel onto a white card base. 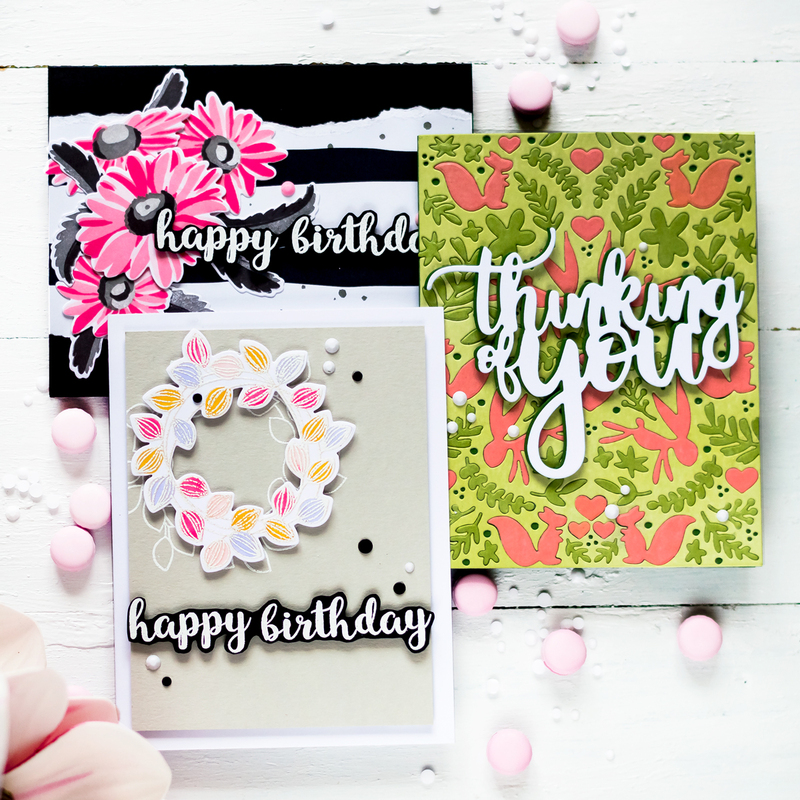 Here you have two ideas of how you can stretch those matching dies. 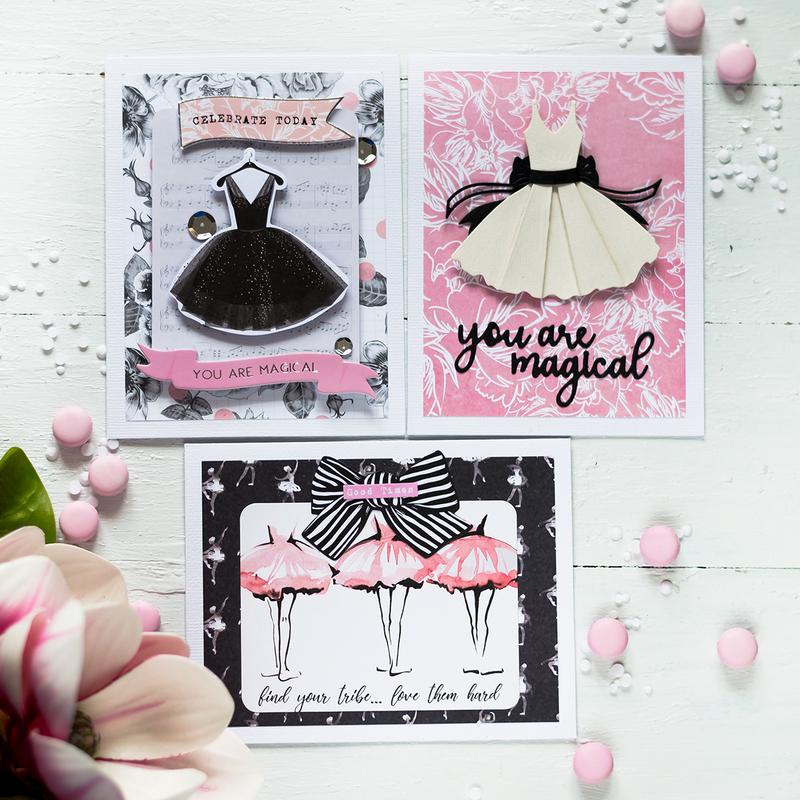 I especially like the second card. Want to try this technique for other animal designs or maybe even flowers. That is ingenious idea, i love it. A great way to stretch your supplies. I love the constellation card too. So cute. 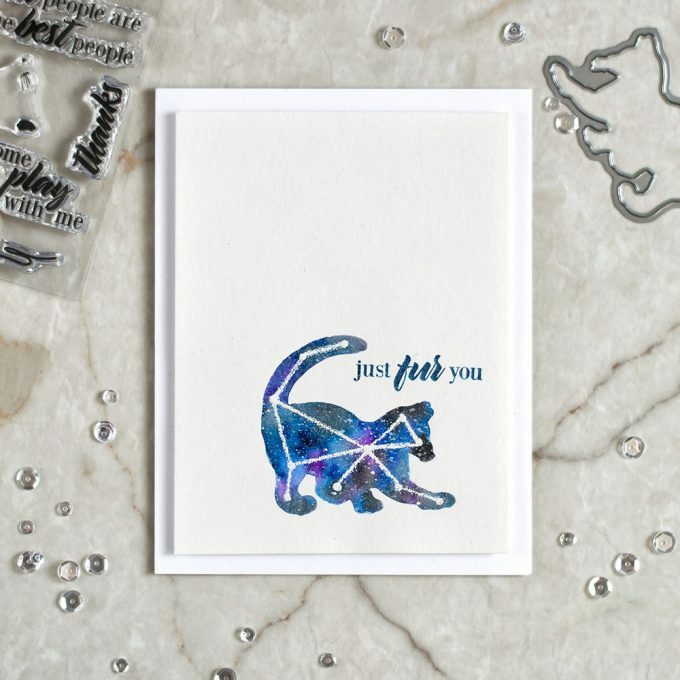 That galaxy cat is AMAZEBALLS! I never would have thought to use freezer paper as a mask. Thanks for the fabulous inspiration! !